Louis S. Southworth, II, is Counsel in the Government industry group, focusing primarily on government relations and tax. He practices out of the Firm’s office in Charleston, West Virginia. While not verifiable, it is possible that Louis knows everyone in the City of Charleston, and perhaps in the State of West Virginia. Louis is in his element when he’s out interacting with clients, fellow attorneys, or elected representatives at the Capitol. Louis leads Jackson Kelly’s internal legislative services team in West Virginia and serves as chairman of the Government Relations Committee of the West Virginia Chamber of Commerce. While heavily involved in government affairs, Louis also is a practicing tax attorney who frequently addresses issues related to administrative, business and commercial law, business planning, leases, legislative services, mergers and acquisitions, and securities. Louis is a frequent lecturer at various tax seminars and meetings and has been published in the West Virginia Law Review and the Corporation Law Handbook – West Virginia Practice Handbook, among others. He is listed in Woodward/White’s The Best Lawyers in America®, has been ranked in Chambers USA, was a West Virginia Super Lawyer®, was named West Virginia Best Lawyers “Lawyer of the Year” for Corporate Law and for Government Relations, and has been inducted into the Marshall University Hall of Fame. Louis is actively involved with the American and West Virginia Bar Associations and is a Fellow of the American College of Tax Counsel. He is a trustee of many professional and civic associations and has served as a director of the Charleston Area Medical Center Foundation, the University of Charleston and the Clay Foundation. 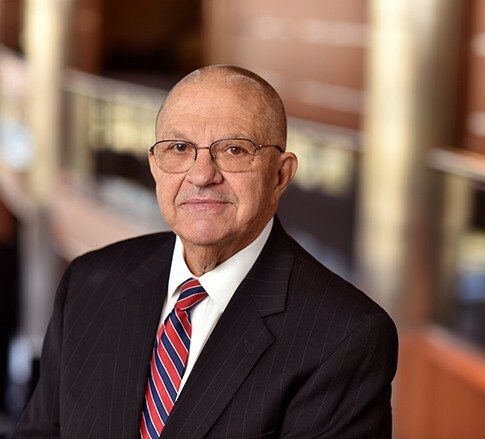 Since 1999, Louis has served as a member of the Firm's Executive Committee, the governing body of Jackson Kelly and was elected as its Chairman in 2001.